Watch The First Six Minutes Of The Gifted Right Now - Are You Screening? There aren’t many shows that even have the theoretical possibility of getting me more interested in them than The Gifted. The Marvel Universe on television has mostly worked out for me, but more importantly, I want to know what Matt Nix does with the show, and I’m a pretty big fan of Amy Acker. I’m not exactly sure how you keep an “on the run” story going forever, but it should be worth finding out where this can twist around its own gimmick. Previous looks at the show have already set things up pretty well, and if nothing else it looks like this is going to be a fun exploration of characters that goes a bit darker, much like the Netflix series we’ve seen so far. You now have the chance to get a serious introduction with the first six minutes of the show so definitely check that out above, and let us know what you think of this one. From Marvel Television, and set in the “X-Men” universe, THE GIFTED is an epic adventure story of a suburban couple whose ordinary lives are rocked by the sudden discovery that their children possess mutant powers. Forced to flee from an oppressive government, the family’s only choice is to contact an underground network of mutants who are fighting to survive. 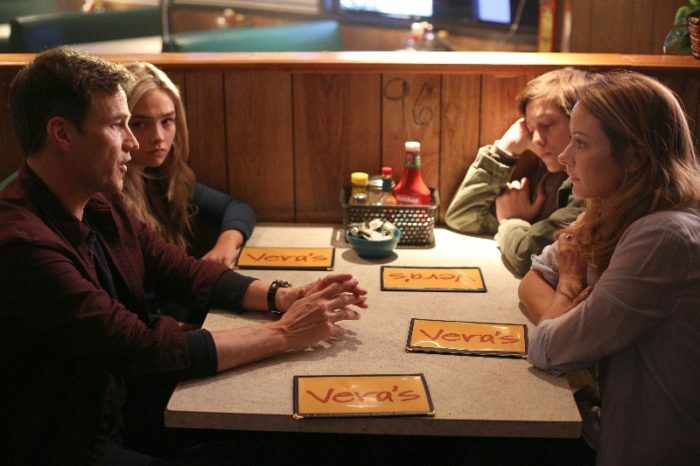 The series stars Stephen Moyer, Amy Acker, Natalie Alyn Lind and Percy Hynes White as the STRUCKER family. Also starring in the series are Sean Teale as ECLIPSE/MARCOS DIAZ; Jamie Chung as BLINK/CLARICE FONG AKA CLARICE FERGUSON; Emma Dumont as POLARIS/LORNA DANE; Blair Redford as THUNDERBIRD/JOHN PROUDSTAR; and Coby Bell as Sentinel Services Agent JACE TURNER. The series’ “Pilot” episode” is written by Matt Nix and directed by Bryan Singer. Nix, Singer, Lauren Shuler Donner, Simon Kinberg and Marvel’s Jeph Loeb and Jim Chory serve as executive producers.